At Dental Center of Jacksonville, Dr. Jignesh Patel emphasizes the importance of preventive dental care as often as they can – after all, isn’t it much easier to treat problems when they’re first developing instead of after they’ve caused damage to your wellbeing? Our team would be happy to partner with you and your family throughout the years, helping you all achieve and maintain wonderful oral health with routine examinations, refreshing cleanings, and other services that are designed to support your smile. Contact us today to schedule your first appointment – late and weekend hours are available! Both children and adults should attend a routine dental appointment at least twice every year; patients with more involved needs like periodontal disease or a high sensitivity to tooth decay may need more frequent visits to maintain good oral health. Our team’s goal will be to form a comprehensive understanding of your smile during your check-up, thoroughly inspecting each existing tooth, the gum tissue, the bite, existing restorative work, and more. An oral cancer screening, a periodontal screening, and digital X-rays will be provided as well. Once our doctors are well-informed, they can sit down with you to discuss possible treatment options and the path towards a happier, healthier smile. 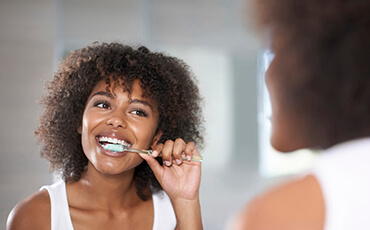 Additionally, dental cleanings are an important part of routine appointments because our team is able to clear away decay-causing plaque and tartar from the mouth, resulting in stronger oral health. You’ll leave our office with teeth that feel refreshed and polished! If you struggle with constant headaches and teeth that seem worn down over time for no clear reason, it’s possible that you’re experiencing bruxism (teeth grinding). This common “bad habit” affects patients of all ages (especially those who have daily stress) and is likely to happen at night, which makes it difficult to stop on your own. That’s where our dental team comes in! 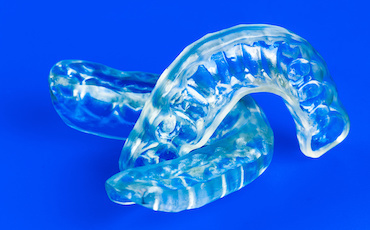 We can create a personalized nightguard that’s worn comfortably during sleep, providing a barrier between teeth that minimizes the harmful effects of grinding. Do you or your child regularly participate in a sport where physical contact with other players or hard surfaces/objects is a possibility? If so, it’s important to protect your smile before serious damage occurs. 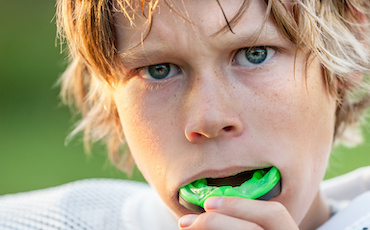 Instead of relying on a one-size-fits-all oral appliance from the store, patients should talk to our doctors about a customized sportsguard. We can design the perfect appliance for smiles of all shapes and sizes, ensuring the comfort and stability you need to feel fully confident on the court or field. Oral cancer is a dangerous and even deadly condition; in fact, statistics show that nearly half of all patients won’t survive more than five years past their initial diagnosis. This happens because so many cases aren’t actually identified correctly until the disease has reached an advanced stage, making recovery difficult. Our doctors take this threat very seriously, which is why we’ve made oral cancer screenings a vital part of every check-up here in Jacksonville. During your appointment, we’ll thoroughly scan your mouth for common indications of cancerous cells (red or white patches, slowly healing sores, etc) and recommend a biopsy if necessary. Fluoride is a common mineral that has very positive qualities when it comes to your smile – studies have shown that people who regularly drink fluoridated water tend to have stronger teeth that are less prone to cavities. 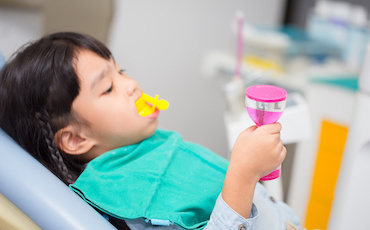 At Dental Center of Jacksonville, we commonly recommend professional fluoride applications for children as a way to strengthen and protect their growing smiles; adults who aren’t receiving enough fluoride in their daily diet may benefit as well! Periodontal disease (also known as gum disease) is a serious health condition that affects nearly 80% of the population – and many don’t even know it! If you’ve been experiencing bleeding gums or excessively swollen gum tissue, don’t hesitate to contact our Jacksonville, FL practice for diagnostic help. If we determine that you have an infection, treatment options are available that can help revitalize your oral health. These include scaling and root planing, which is an in-depth cleaning that removes bacteria from below the gum line and the tooth root surfaces.